Learning the details of using essential oils can take time, but there are easy aromatherapy recipes that anyone can make. Using these mixtures is a simple way to begin using aromatherapy techniques in your home. It is simple to make your own cleaning products and add a personal touch with essential oils. You can create mixtures that will create a cheerful mood, kill bacteria, or prevent moths and other pests from taking over your home. If you have a diffuser you can leave out the water and just add the oil mixture to your diffuser. Use room sprays to disinfect, create a fresh scent or change the mood. Add the desired oils to two ounces of distilled water. To make a long-lasting fragrance spray, use one ounce of water and one ounce of vodka. Keep the mixture in a small spray bottle and store in a dark place. It will last indefinitely. 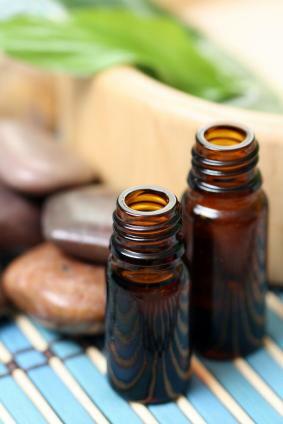 Here are easy aromatherapy recipes to freshen and repel fleas in carpets. Just use a one pound box of baking soda for the base. Add essential oils and sprinkle on carpets. Allow to stand for one hour before vacuuming. These are just a few of the possibilities for carrier oils to use in the following easy aromatherapy recipes. Using a combined technique of aromatherapy and massage is a great way to relax. Different essential oils can create different moods. Using aromatherapy in your home can help you to maintain a pleasant atmosphere as well as create an uplifting mood. Whether you need to relax, energize, or improve your mood, essential oils can help encourage these qualities in your environment.